Located in the southwest corner of Arkansas, in one of the oldest counties of the state, the town of Hope has reflected the industrial vision of the New South since 1873 when the first lots were sold by the Cairo and Fulton Railroad Company. 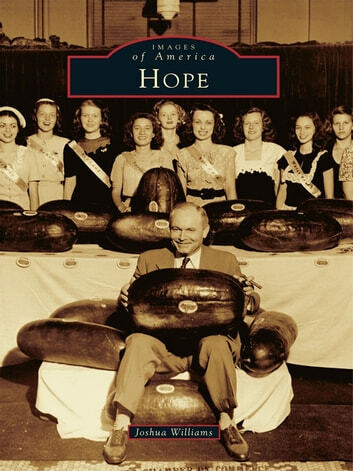 Hope has been home to nationally known politicians Bill Clinton and Mike Huckabee; acclaimed musicians like Patsy Montana; entrepreneur Paul Klipsch of Klipsch Speakers; and the farmer of the 44-year world-record watermelon, O. D. Middlebrooks. From thriving banks and local businesses to brickyards and handle factories, the people and places of Hope reflect the industrial nature and vision of a New South railroad town combined with the charm of small-town America.